Click on the year to see the list of trips for that year! 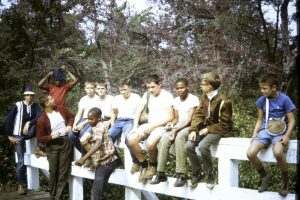 Click on a trip to see the pictures from that trip and any newsletter articles or memories that folks have sent us. If you have old pictures of the Troop that aren’t on here, have a memory of a trip that you’d like to share, or know of trips not on this list (we have definite holes pre-1993), we’d love to hear from you! Electronic copies are great, but we can also scan and return them to you so that we have them in the Troop archives. Email michaelmccormick26@gmail.com if you have pictures or stories!